Though often necessary, internal investigations are seldom smooth or easy. Rosanne Kay, Partner at law firm Reed Smith, outlines a robust strategy to tackle such an undertaking. When a concern about serious wrongdoing arises within a pharmaceutical business, the company needs to react fast. One of its first priorities will be to understand the issue fully in order to determine its reaction. Undertaking an internal investigation is a critical part of that process. Whilst internal investigations can be traumatic experiences for those involved, they can be highly beneficial in ensuring that management has all of the relevant facts when deciding how to proceed. Any trauma experienced by those under investigation can be kept to a minimum when pre-planned procedures are followed and the correct processes are in place. A well-managed investigation will also help ensure that further misconduct is minimised or even prevented and will promote a culture of transparency and compliance to all stakeholders. Undertaking an investigation will mean that internal and external stakeholders will appreciate the seriousness with which the pharmaceutical company deals with concerns. In a pharmaceutical business, especially those in the public spotlight, there can be many triggers for an internal investigation. It is difficult to predict when the need for one may arise, but this can be identified in a variety of ways, such as a tip off from an anonymous source on a hotline, or via the internal audit, HR, legal, accounting, procurement or compliance functions. 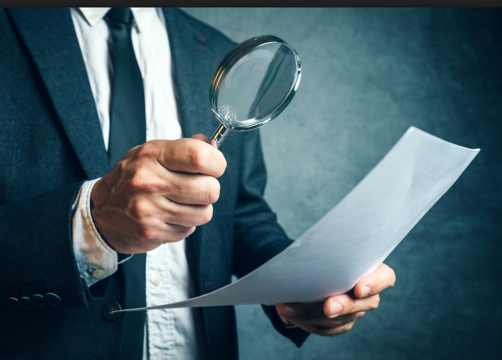 The types of concerns which are the subject matter of an internal investigation can vary widely and may include, for example, concerns relating to bribery, HR issues or a breach of data security. Regarding bribery concerns, the types of issues that may raise red flags for pharmaceutical companies may include inappropriate interactions with healthcare practitioners (HCPs) and HCP organisations, involving a transfer of value. The need for external communications should be carefully analysed for whether any voluntary disclosure would be appropriate and/or whether there is any duty to report on the facts. The scope of any such reporting obligations, and the timing of any such report, should also be considered. Care should be taken as to what is communicated, to reduce the extent to which legal professional privilege may be lost. The need for internal communications should be considered. Who within the company needs to know about the investigation? What do they need to know? In particular, what reports will be provided to management and the timescale for these should be determined. Special care should be taken about reporting legal advice internally to ensure that legal professional privilege is not lost. In addition, those involved in the investigation should be told not to create documents or communicate about the investigation for fear of those documents/communications being disclosable. Careful upfront planning with a focused investigation plan and controlled information flows is the best way to ensure that pharmaceutical companies are able to continue operating as normally as possible while an investigation progresses. It is helpful to document the reason why particular data sets and information are being gathered, in case it is necessary to explain that rationale at a later stage. It is also important to limit the document and data requests to those belonging to the company and not, for example, to those belonging to company employees personally. Where possible, and in order to limit the impact on employees, it is good practice to retrieve information from the company’s servers, and to seek assistance only from a limited number of employees who are not implicated by the issues under investigation. Those selected should be asked to gather the information in a confidential manner. Gathering evidence can be a minefield. Depending on the data being gathered, data privacy laws and other legal requirements may need to be complied with, and it may be necessary to notify employees, or seek their consent, before their data can be accessed. It may also be necessary to take an image of company laptops and mobiles where relevant electronic data cannot be obtained remotely. When specialist technical support is required in such instances, ensure that the process is managed appropriately and efficiently with minimum disruption to the employees concerned. Hard copy and electronic documents should be retrieved in a way that preserves their integrity. The metadata of electronic documents should be preserved and hard copies of documents should be secured. Interviews are the norm in an investigative process, and they can also be the most disruptive to the business; not only do they take up time but they can also cause anxiety to employees involved. To minimise the disruption, an investigation team should carefully consider who should be called for interview, when and where the interviews should take place, and who should conduct the interviews. Employees directly involved in the issues under investigation should be interviewed. Consideration should also be given to their managers, their junior staff and other employees who can provide neutral background information, against which evidence provided by other interviewees can be compared. A decision should also be made about the timing of the interviews and, in particular, whether they should take place before or after documents and information have been gathered and reviewed. In terms of the order in which the interviews take place, it can make sense to interview the most junior employee first and work up to the most senior. It can also make sense to start with employees who can provide neutral background information before speaking to employees directly involved in the issue. There should be at least two interviewers as a minimum – a primary interviewer and a note taker – although a large number can be unnecessarily intimidating. Interviewers should not have been directly involved in the issues being investigated, or be likely to be involved in any future disciplinary process. Interviews are best conducted in a place away from the interviewee’s usual work location and out of sight of colleagues. A discrete meeting room in a different part of the office, or outside the office in an offsite location such as a hotel meeting room or the offices of external lawyers or forensic accountants, can be considered. Preparation is key ahead of an interview. The interviewers should prepare by compiling a folder of key documents to be discussed with the interviewees and preparing a list of questions. Generally, neither of these should be provided to interviewees beforehand, in particular to ensure confidentiality and to avoid interviewees discussing the interviews between themselves and potentially agreeing their responses. Consideration should be given to how far in advance interviewees should be invited to attend the interviews, both to ensure that they are available and to reduce the amount of time they spend worrying. When issuing the invitation, interviewees should at least be told that the interview is a fact-finding exercise (to distinguish it from an HR disciplinary meeting), and that the interview is part of a confidential process and should not be discussed with others either in or outside the company. Interviews can be a stressful experience for interviewees. It is key to put interviewees at ease by asking them open and straightforward questions and showing them documents to help their recollection while allowing them time to read them. An Upjohn warning should be given at the start of each interview indicating that the discussion is confidential and is covered by legal professional privilege belonging to the company, which only the company may waive if it wishes to provide information obtained from the discussion to third parties. How the interview is recorded should be considered ahead of the meeting. The investigation team should determine whether it is possible to create a note of the interview to which legal professional privilege attaches. As a matter of English law, if litigation is contemplated, the note should be privileged; if no litigation is contemplated, the note may not be, even if prepared by a lawyer. Depending on the severity of the issues under review, specific legal advice should be sought about whether a note should be prepared and the best way of seeking to protect that note. Once the investigative steps have been completed, a question arises as to how the findings of the investigation should be recorded and to whom they should be communicated. In particular, should the findings be recorded in writing or only communicated orally? Certainly, as a matter of English law, there is a question mark as to whether a report will be privileged if it only communicates the factual findings of the investigation. Legal advice should be sought about how to deal with this issue. When the report is circulated internally, it should be on a need to know basis and on the express understanding that it should be kept confidential. The report may include recommendations arising from the investigation concerning improvements to the company’s systems and controls, training, disciplinary action and consideration of whether any regulatory or governmental authorities should be informed about the outcome of the investigation.